During a suborbital flight, Virgin Galactic’s SpaceShipTwo has once again crossed the space border with humans on board. The SpaceShipTwo is climbing higher and higher and faster. On February 22, it reached the altitude of 90 km (56 miles) and Mach 3 speed. On board, there were three people : two test pilots and the person in charge of training the passengers, sitting at the rear of the spaceship. She experimented the experience of Virgin Galactic’s future customers. For the three people aboard the spaceship, it was the first space flight, as defined by Virgin Galactic. The company estimates that spaceflight starts at 80 km altitude (50 miles), like NASA. But many other organizations say that the space boundary is 100 kilometers (62 miles) above sea level. We are therefore looking forward to seeing a SpaceShipTwo go beyond this boundary. We don’t know how many test flights will be needed before the company ships paying customers into its spaceship. Richard Branson hopes to send first customers into space in 2019, perhaps even this summer. We know that the 50th anniversary of the first human steps on the Moon will take place on July 20th. 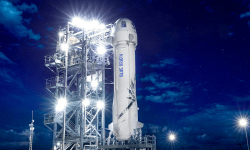 But Blue Origin’s New Shepard rocket could overshadow Virgin Galactic. On December 13, Virgin Galactic finally achieved its goal, sending men into space. The SpaceShipTwo spaceship was dropped at 13 kilometers altitude. It activated its hybrid rocket engine for 60 seconds, which allowed the spaceship to reach an altitude of 83 kilometers and a speed of Mach 2.9. It is customary to say that space starts at 100 kilometers, but that is an arbitrary boundary. US government agencies name their pilots astronauts if they reach 80 kilometers above sea level. Virgin Galactic is now a private company capable of manned spaceflight. The feat is resounding : this is the first time an American spacecraft has taken men into space since the last flight of a space shuttle, in 2011. Still remember that this is a suborbital flight, much less constraining than launching into orbit followed by atmospheric re-entry. If British billionaire Richard Branson’s business has spent years working on this project, it’s because it wants to make space tourism real. The SpaceshipTwo spaceship could quickly embark wealthy tourists for a few minutes of thrills closer to the stars. 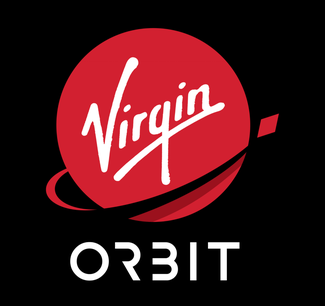 In the conference that followed this first space flight, Richard Branson however explained that it will be necessary to carry out other test flights before being able to market the service. The company must test longer rocket engine launches, which should logically bring the spaceship to higher altitudes and speeds. The symbolic limit of 100 kilometers of altitude could be crossed during the next flights. The Virgin Galactic flight was loaded with four payloads from the NASA’s Flight Opportunities program : experiments on microgravity dust collisions, plant growth, and a vibration isolation system. The feat of Virgin Galactic has been very commented. Even US Vice President Mike Pence wrote a congrats message on Twitter. Virgin Galactic wants to create two other SpaceShipTwo spaceships rather quickly. The three vehicles will obviously be reusable and should therefore be able to fly on many occasions. The spaceship that made this first space flight has, for example, activated its engine five times in 2018. Other spaceships and a second carrier aircraft will also be created. We remember that a test pilot died in a test in 2014. To prove all the confidence he has in his business, Richard Branson wants to embark on one of the first commercial flights to space. He hopes to make this trip in 2019. Next year will be crucial for space tourism. Both Virgin Galactic and Blue Origin systems are expected to become operational in 2019. The company of British billionaire Richard Branson is probably the first private sector to invade the space conquest in the early 2000s. 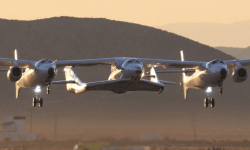 Between 2002 and 2014, the company has conducted many test flights using of his spaceship SpaceshipTwo carried by the flying wing WhiteKnightTwo. But in 2014, the program came to a halt with an incident in the Moyave desert that killed a test pilot of the firm, and seriously injured another. This flight involved a new type of fuel that had never been tested in flight, and which obviously should not have been. After years of additional testing and tweaking, Virgin Galactic is back and finally seems ready to ship space tourists. Richard Branson announced earlier this month that commercial flights will begin next year. Virgin Galactic plans to take six passengers and two pilots aboard SpaceshipTwo. The latter is first carried under a flying wing similar to a conventional aircraft, which takes the ship to an altitude of 15 km. The spacecraft is then dropped and lights its rocket engine quickly reaching a speed of 4200 km / h. For passengers it is almost 4G cashed so better to have a good physical condition. Arrived at 60 kilometers of altitude, the rocket engine extinguishes, having burned all its fuel. But the ship continues its momentum thanks to its phenomenal speed and the low resistance of the air. At this altitude, its ballistic trajectory leads it to an altitude of 100 km, until gravity takes over. He then began a descent phase where he was gradually curbed by an increasingly dense atmosphere, then he flies back to the airport from which he took off. If the adventure tempts you, you can already book a ticket for the modest sum of 250 000 dollars. We imagine that for this price, we will have the right to complete training in spaceflight and a flight to the Virgin Galactic spaceport.